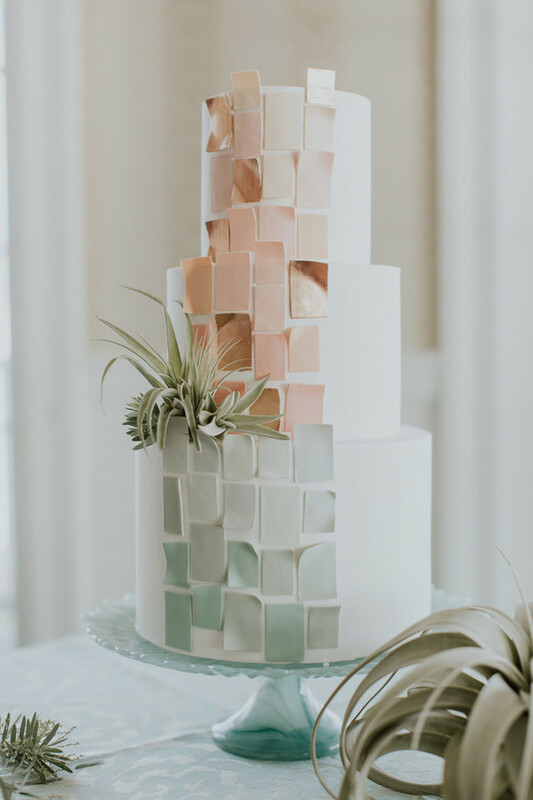 Ready for some delicious spring colors? 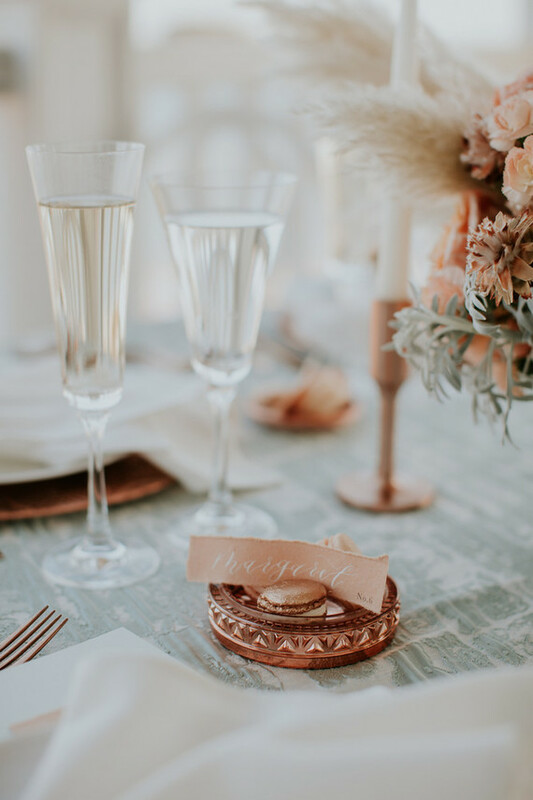 So are we!!! 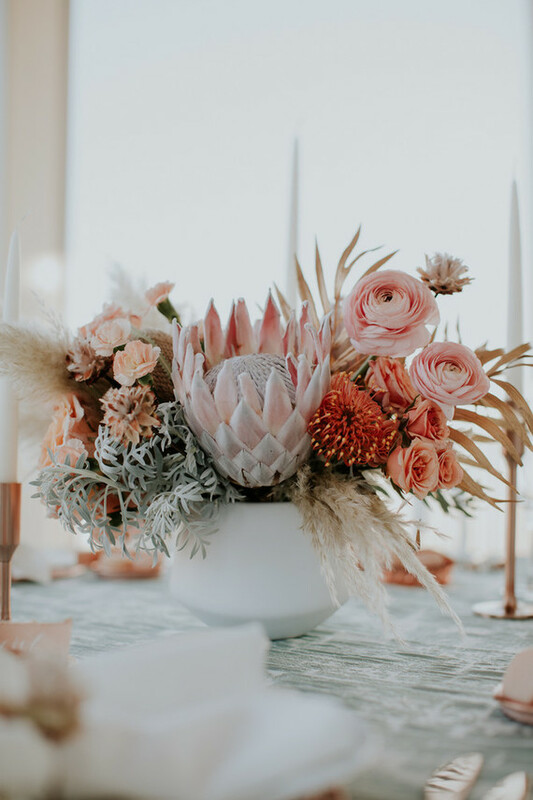 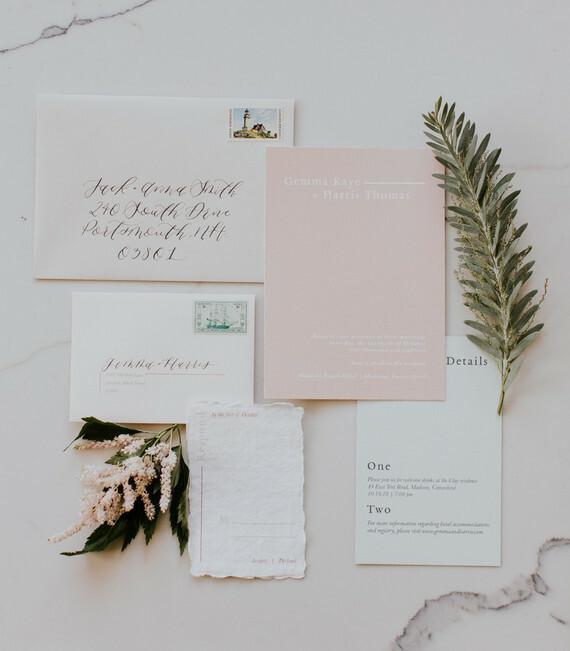 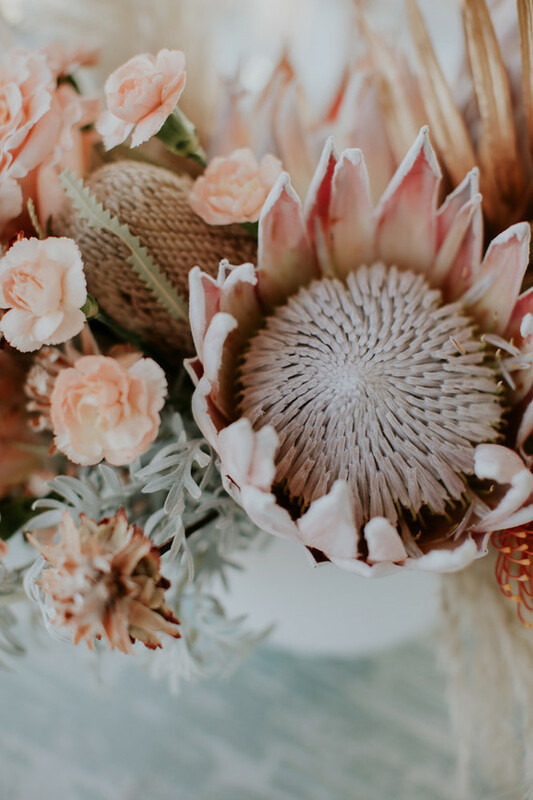 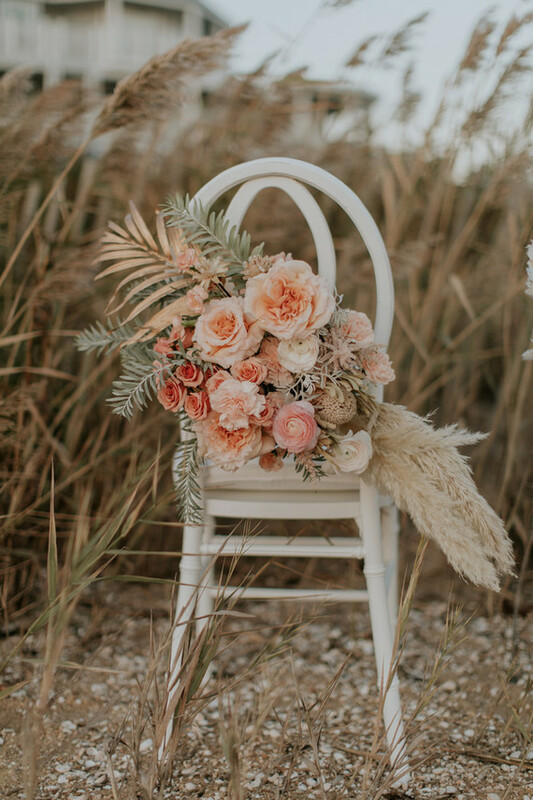 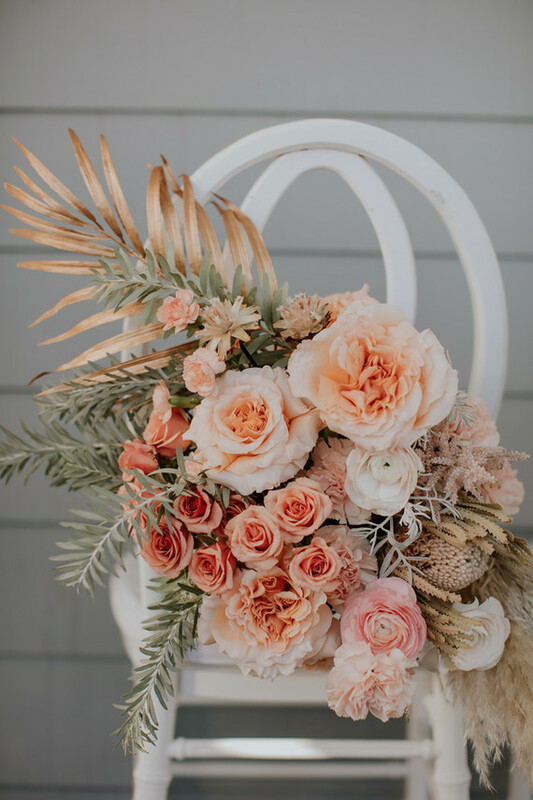 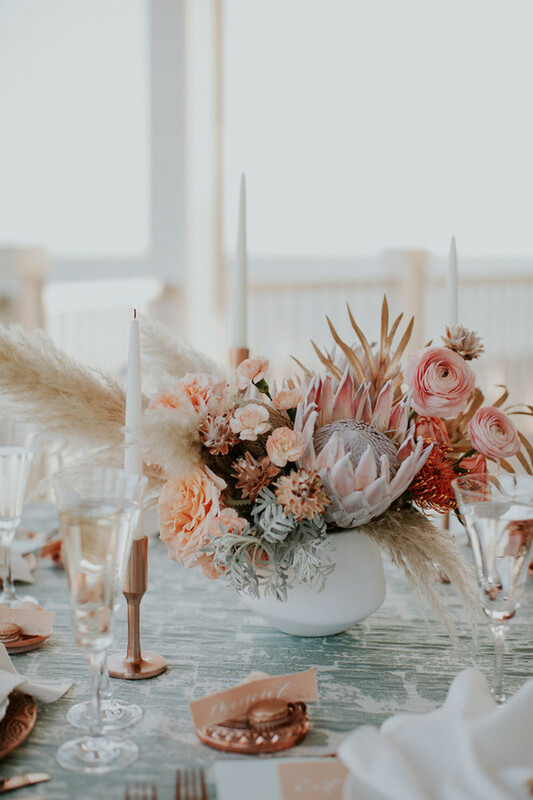 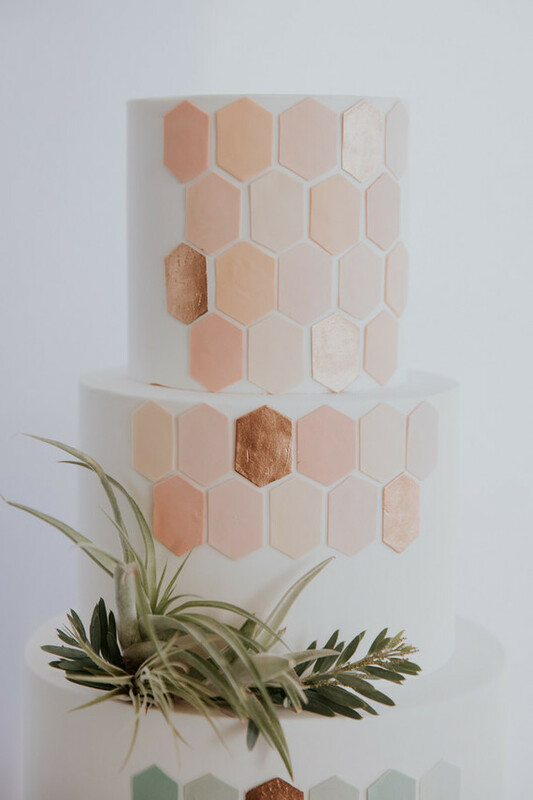 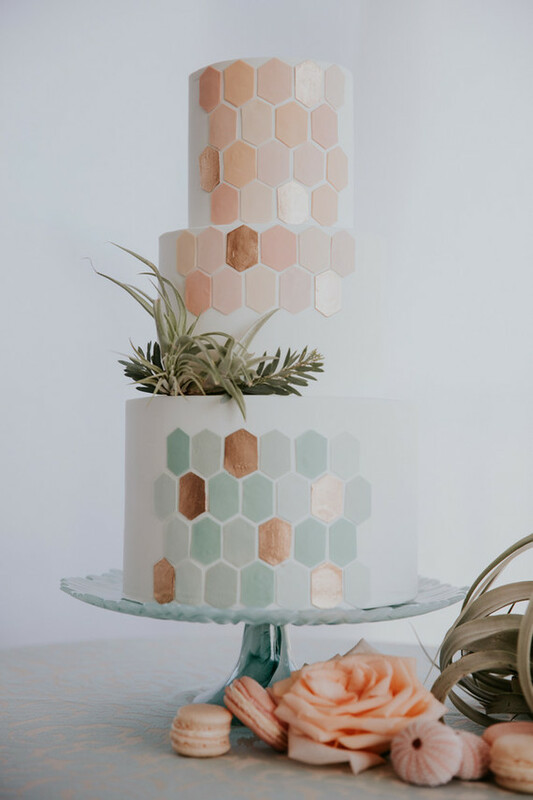 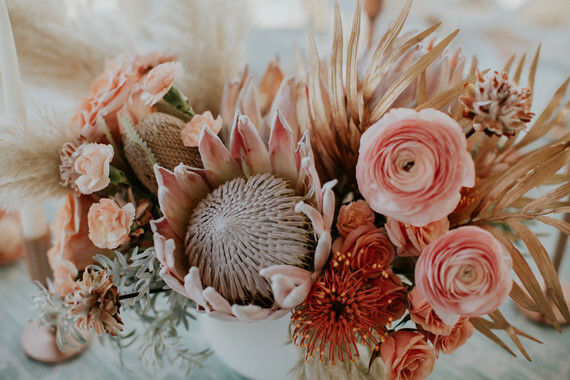 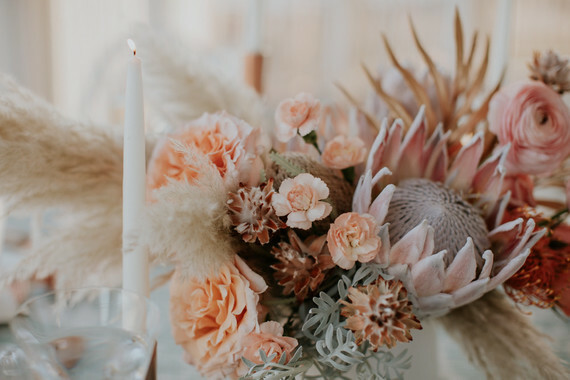 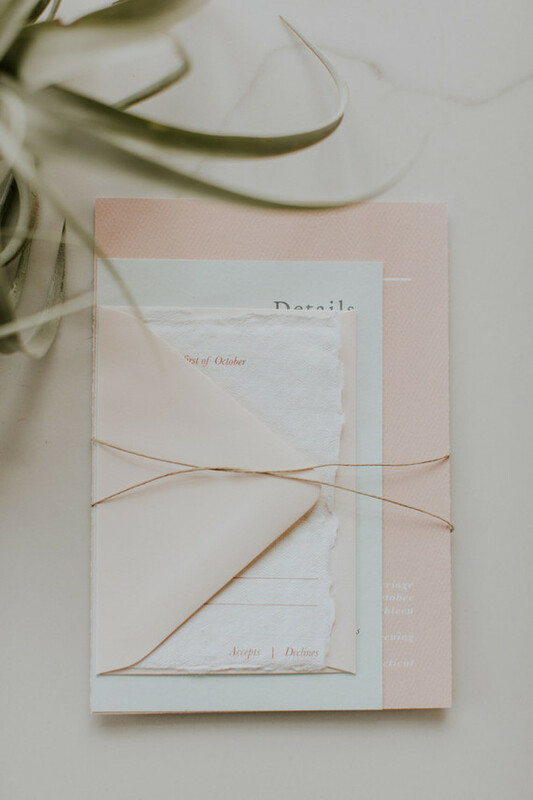 From 100 Layer Cake comes a delicious assortment of pale mint and blush colors that define 2019 Spring Wedding Trends! 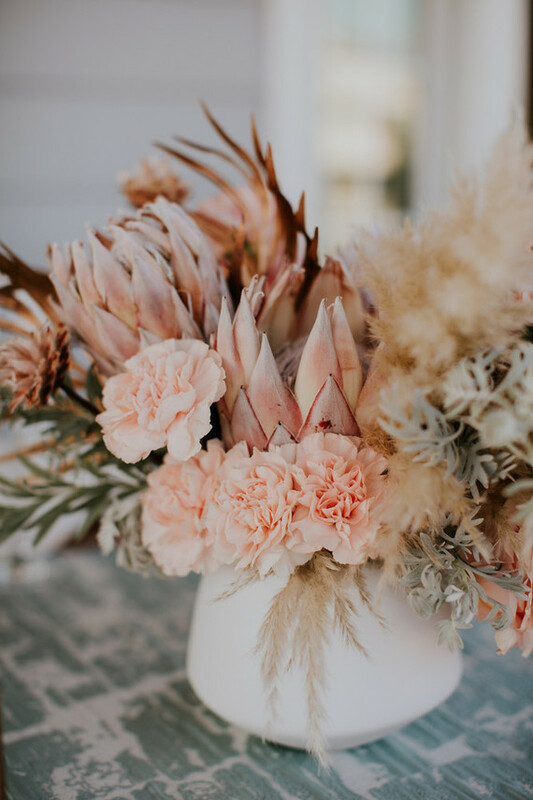 Just seeing these colors in the beautiful photos makes us happy and feel springy! 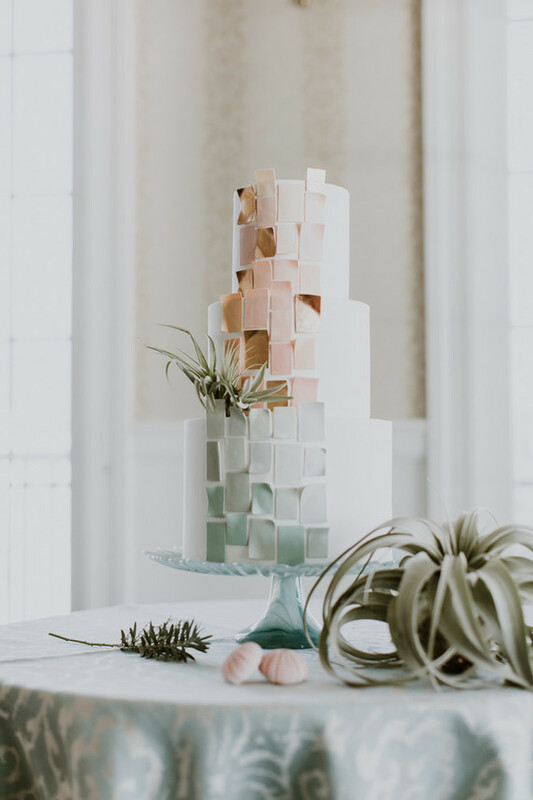 Thanks 100 Layer Cake! 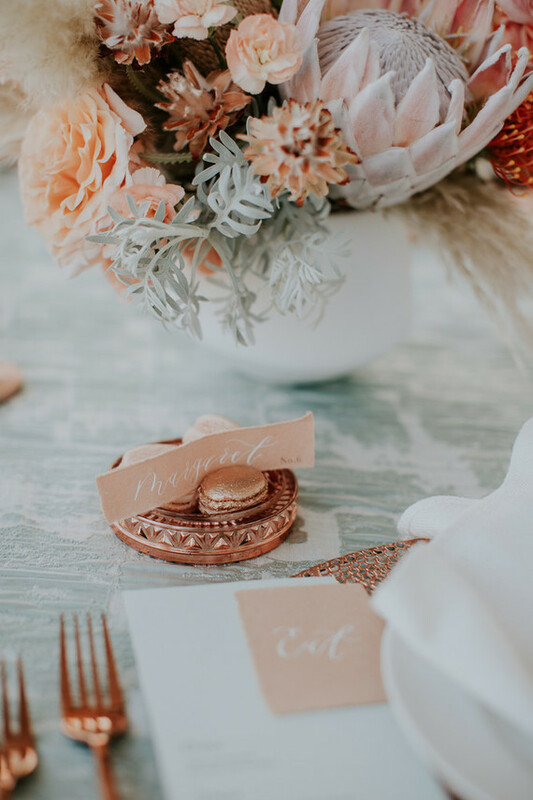 Rose gold is a pretty magical accent tone for mint + blush, too, don’t you agree? 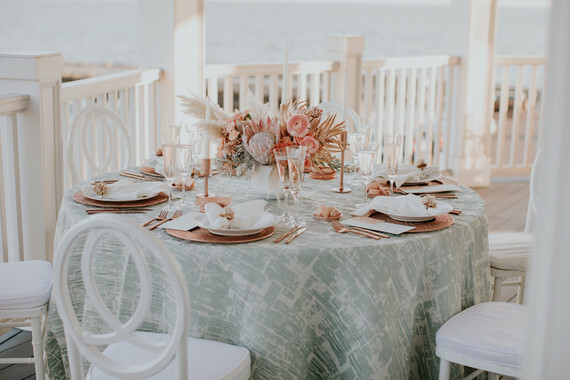 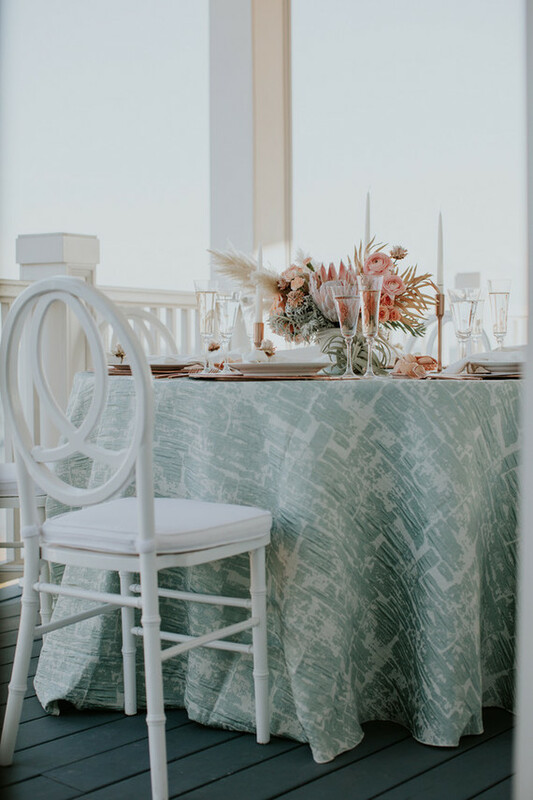 The unique linen design from PEAK Event Services, aptly named ‘stonewall seafoam’, took their coastal concept to the next level. 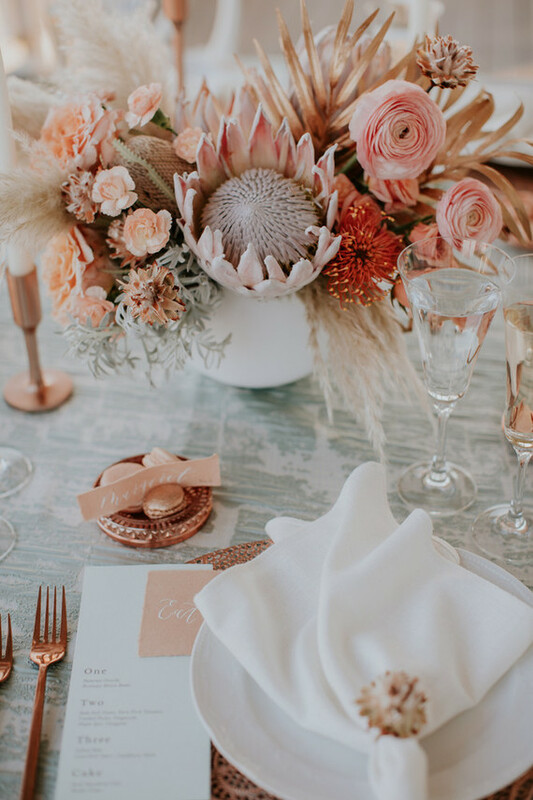 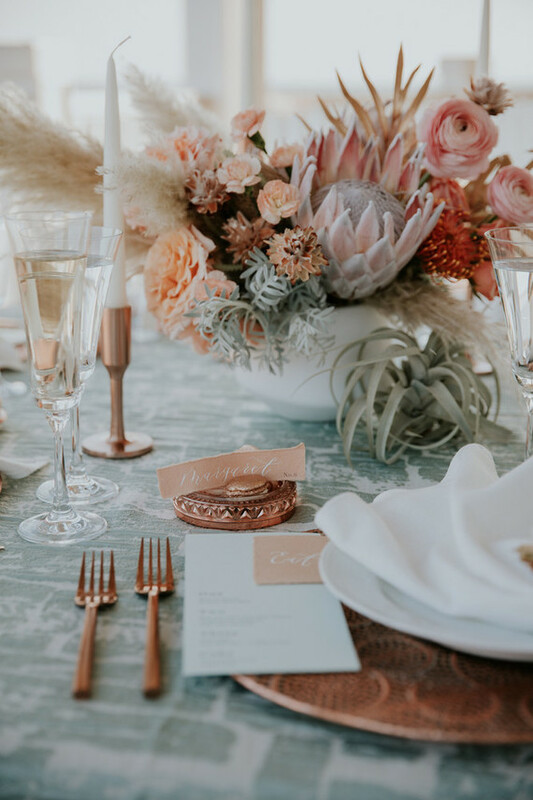 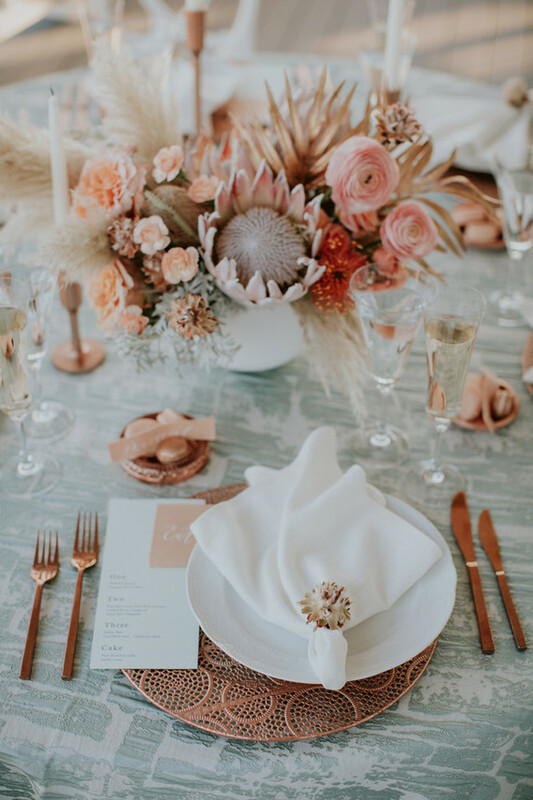 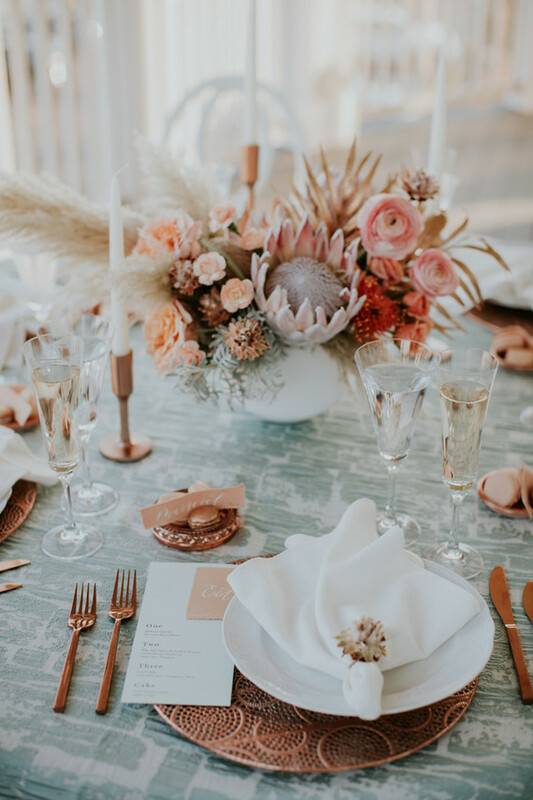 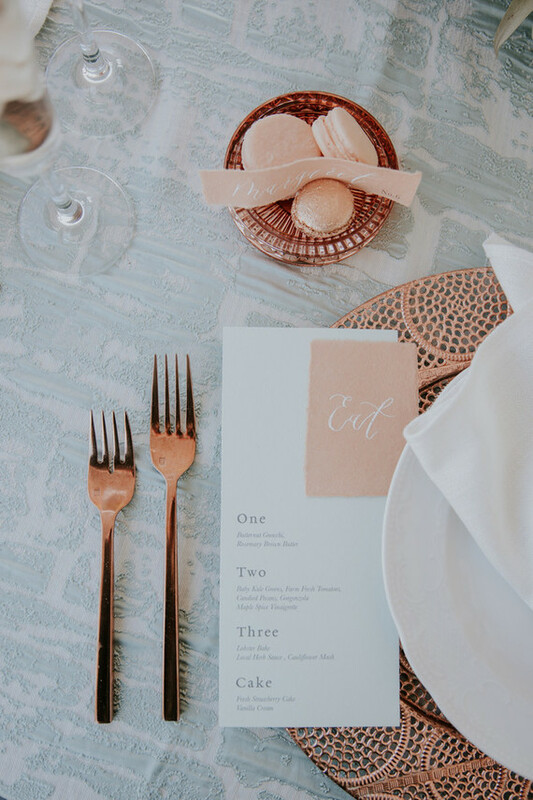 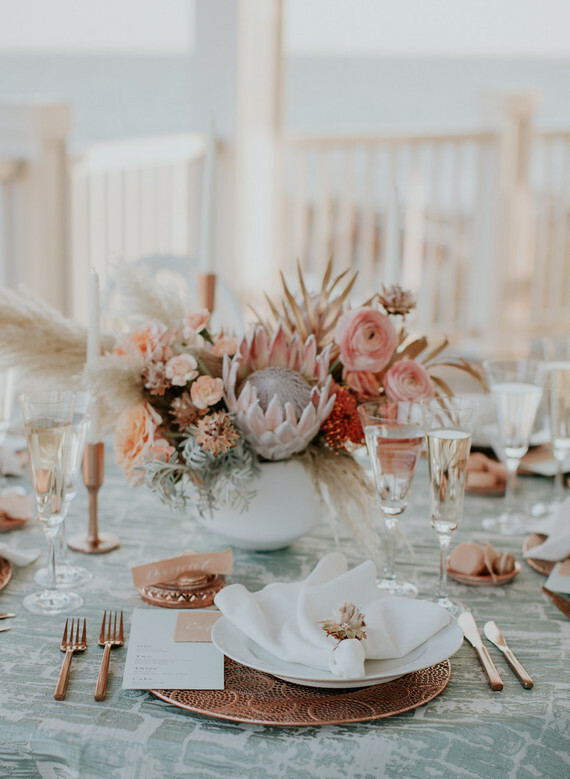 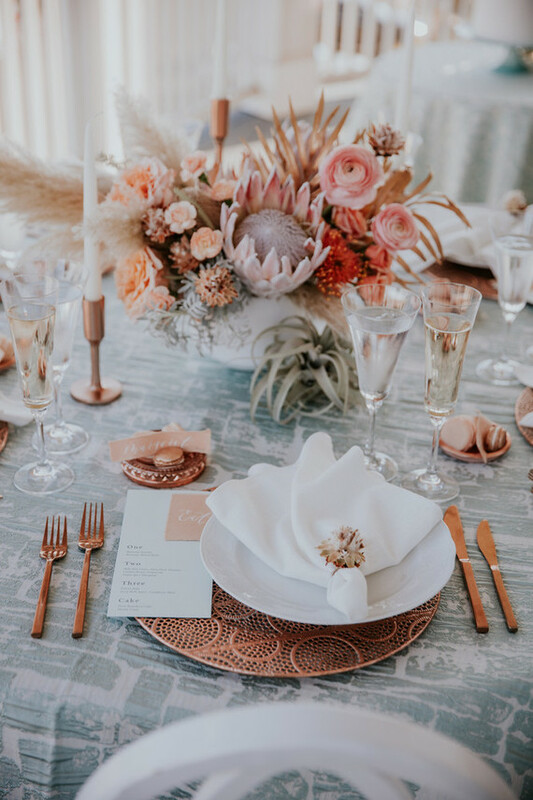 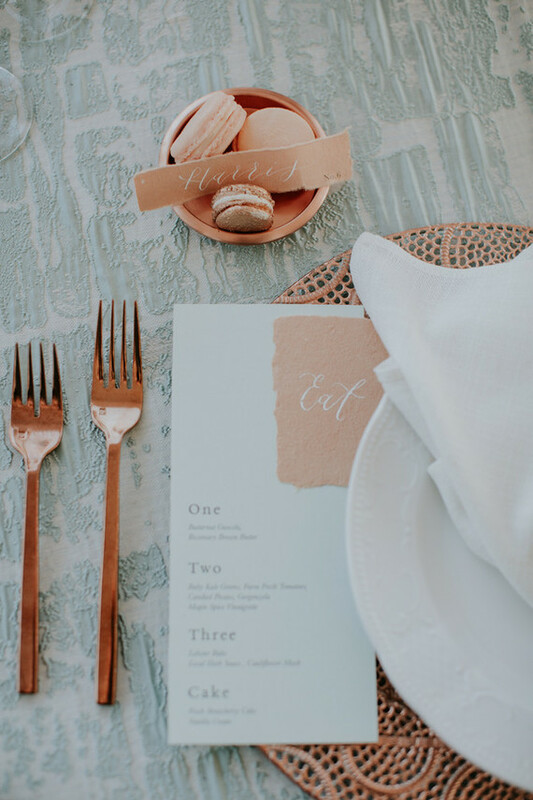 Layers of rose gold elements were used in a way that cast a rosy filter over the entire design: chargers, flatware and macaroons all showcased this metallic look. 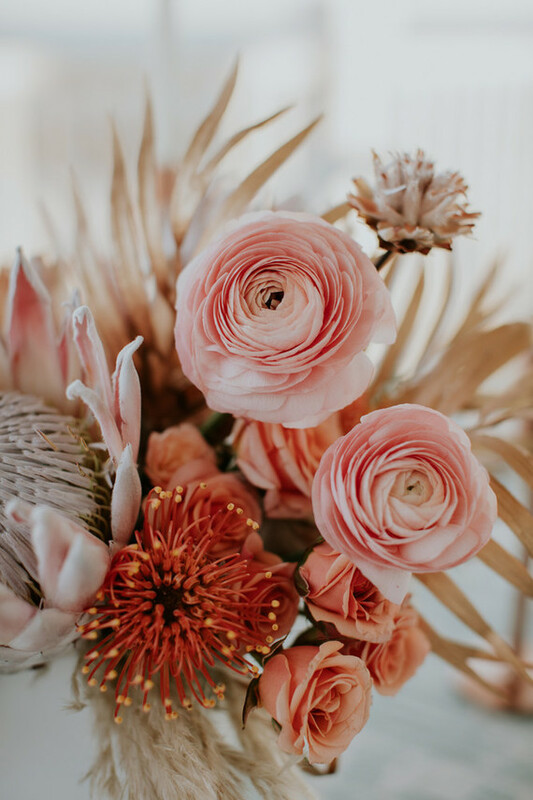 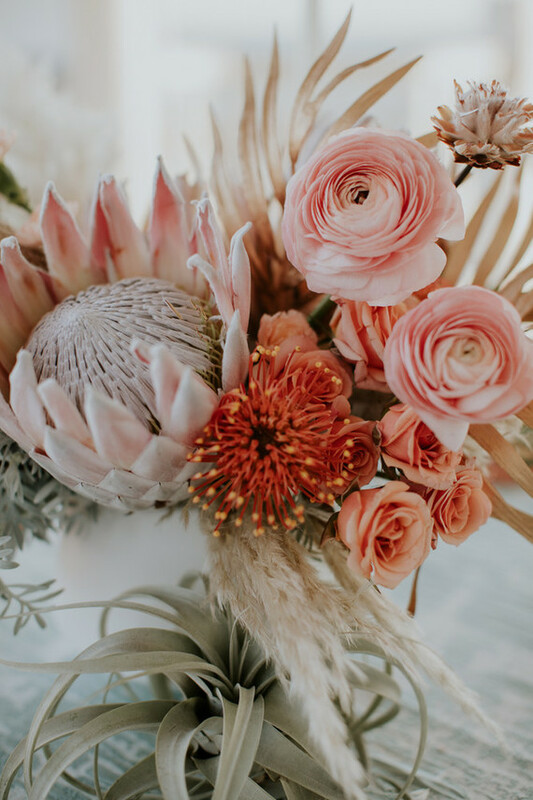 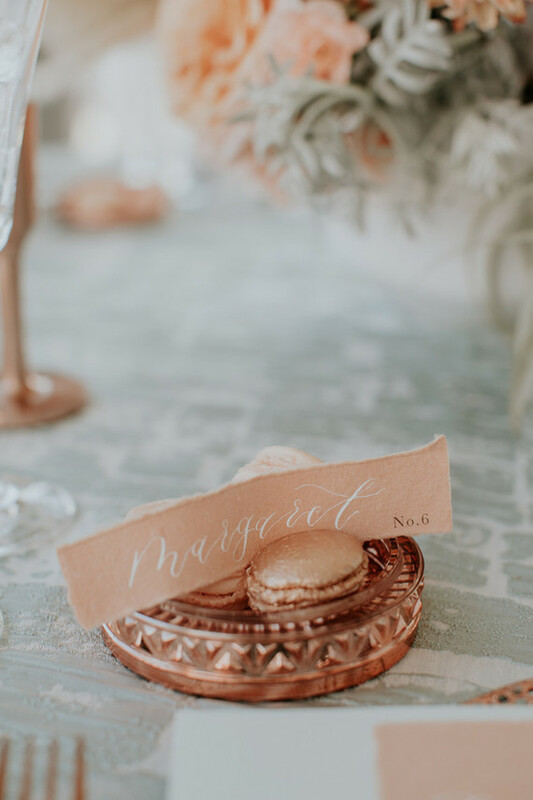 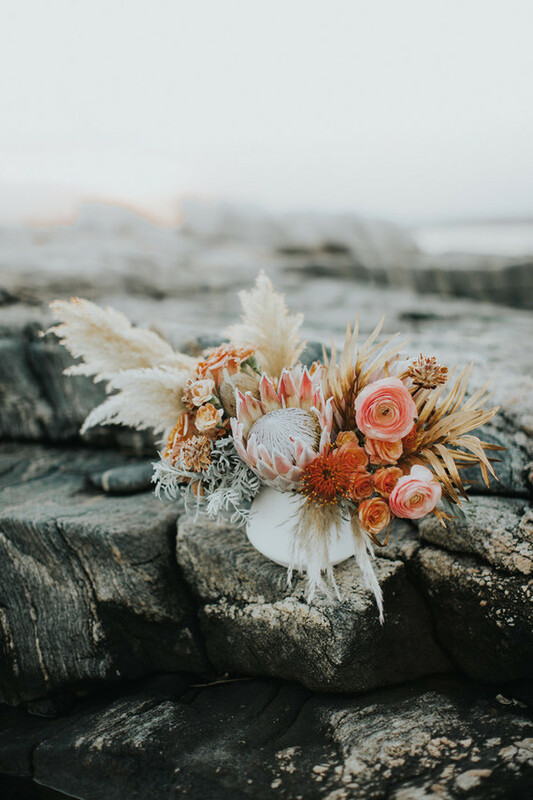 Yup, we said rose gold macarons—baked and glitzed by the talented I Need Sugar Therapy while Tiahna Lynn Photography captured all of these details during the rosiest of golden hours.